Some of you may not be aware of this but earlier this year, a Mumbai-based mobile distribution company Priyanka Telecom launched a smartphone brand called Centric in India. 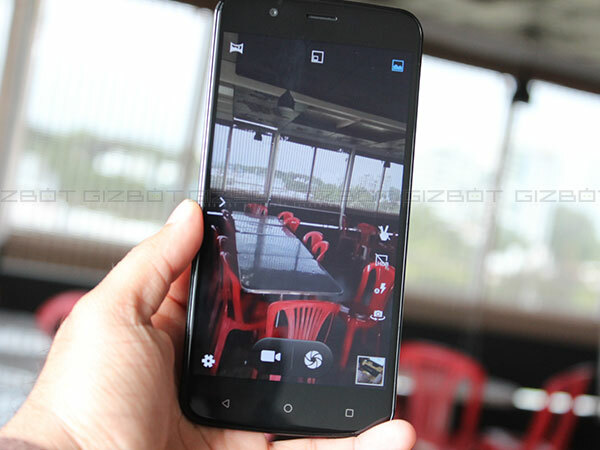 More Gallery » PROS Good Display | Sturdy Design | Manageable Performance | Budget Friendly CONS Sluggish performance at times | Touch respone needs improvement | Sub-Par Camera Full Specifications Further, the newly launched brand unveiled four smartphones in the country targeting the sub-Rs. 10,000 price bracket. Basically, the new brand did mention that it was aiming to offer smartphones ranging between Rs 7,000 to Rs 15,000. And thus launched several smartphones in the market at different price ranges. 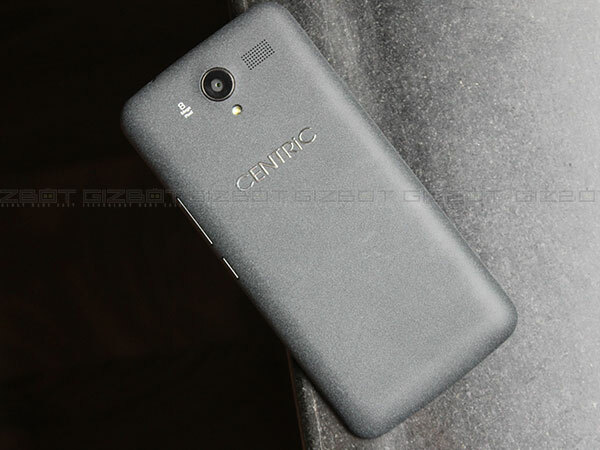 The smartphones launched include Centric L1, G1, P1 and P1 Plus. All these are in the entry level category. However, from what we know the budget smartphones segment has been the most competitive segment, and the new brand has now joined in the competition. But again we ask this question, will it make it in the vast smartphone market where other established manufacturers are already coming with top phones at a budget friendly price. 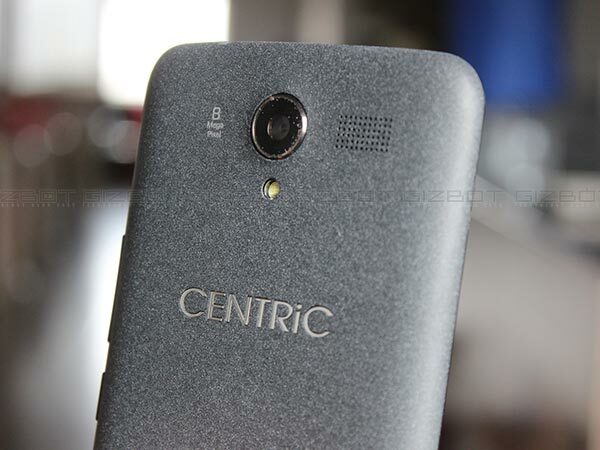 Well, we have had the chance to review one of the premium category smartphones the Centric G1 from the company. The handset does come with decent specifications and features and is considerably priced at Rs. 9,000. While that sounds good, let's find out whether this smartphone will be able to take on the competition or not. Centric G1 comes with a unique design. While most of the smartphone today focus on smooth metal uni-body design, this smartphone comes with a sandstone finish back cover which is removable. The back surface does feel rough when you hold it for the first time but eventually, you'll get used to it. The smartphone provides a decent in-hand sensation. At the same time, the smartphone does feel rigid and the curved back also provides a good grip. At the front, the display features a Dragon Glass and just below the display you have the capacitive buttons but the are not backlit. This could be little bothersome while using the navigation keys at night. 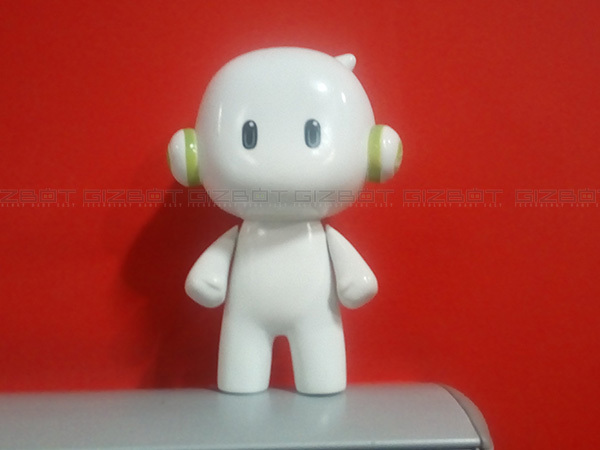 The front-facing camera and primary earpiece are placed at the top of the display. Coming to the rear side, there's the camera module at the upper part while at the bottom you will find the speakers which do sound decent. 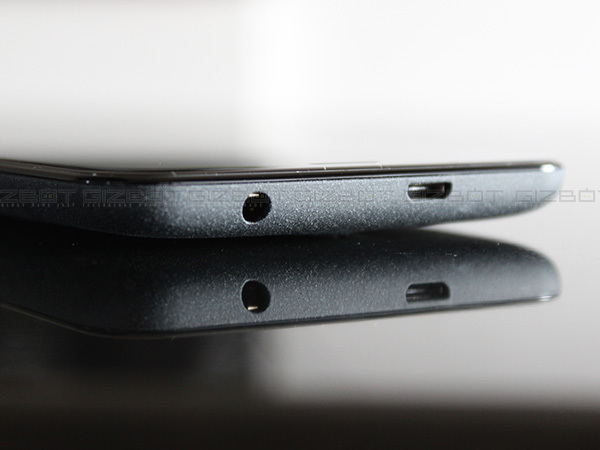 There's a 3.5mm headphone jack and micro-USB port on the top side of the phone, while the bottom features a secondary microphone. The volume rockers and power button are placed on the right side of the phone and they do feel tactile. But again the smartphone's curved sides sometimes make it hard to reach the buttons. You have to press a bit hard to use the buttons. All in all, the design of the Centric G1 is okay and not something out of the ordinary. And as we already mentioned that most of the smartphones come with metal body design today, the company could have used such design in this smartphone. 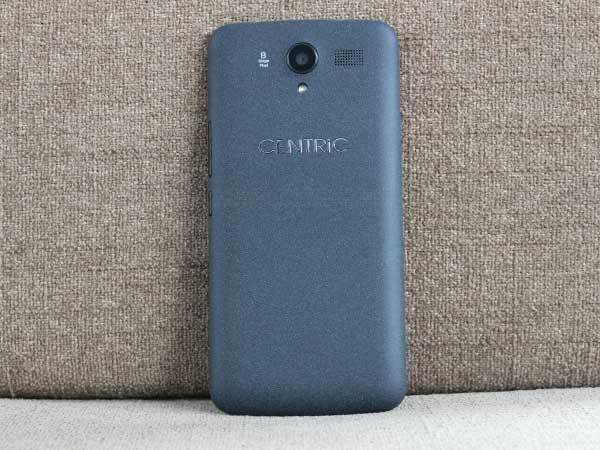 he Centric G1 comes with a 5.5-inch HD display with the resolution of 720 x 1280 pixels. Talking about the use case, the display is big and useful for most of the actions. 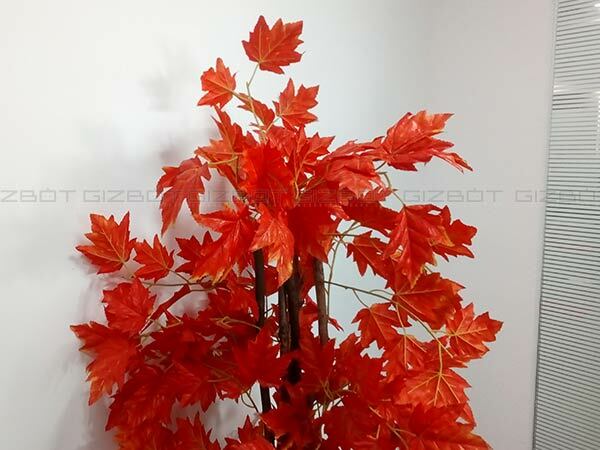 It does offer bright colors and has decent viewing angles. We had no big issues using it in sunlit conditions. However, one thing we were slightly skeptical about was the touch response. It was a bit slow compared to other smartphones and it does tend to get annoying at times. But overall, the display quality is good compared to some of the smartphones in the similar price range. 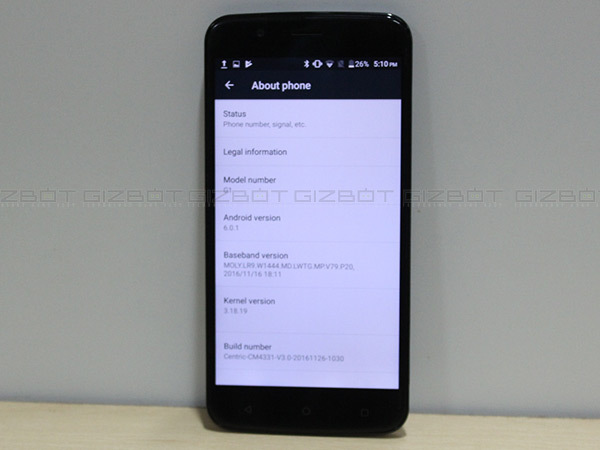 ThThe review handset that we tested is powered by the MediaTek MT6735 SoC which is paired with 3GB of RAM. The device offers 16GB of onboard storage, which can be expandable up to 256GB via microSD card. Talking about the performance, the handset did perform most of the basic tasks like browsing the internet, making calls video playback quite smoothly and without any considerable lags even with many apps open in the background. Testing it for gameplay, we installed games like Asphalt 8, Modern Combat which come under high graphic intensive games. The smartphone did fall behind in this case. The games were a bit slow and basically, the visual quality had to be brought down for the games to run smoothly. That being said, games like Subway Surfers, Temple Run, did run smoothly without any issues. One more thing that we noticed was that on extended and heavy usage, the smartphone did become slightly warm but it is common with any smartphone. 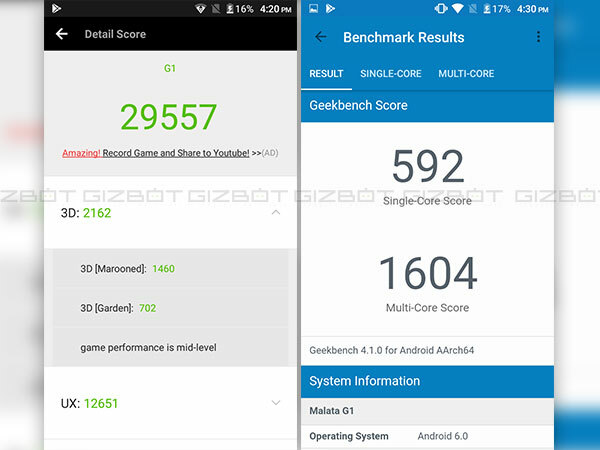 Alternatively, we ran the smartphone through different benchmark tests and the results are given below. 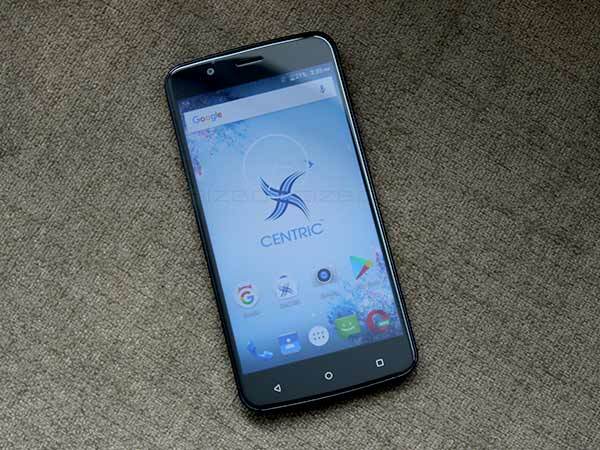 Coming to the software part, the Centric G1 runs on Android 6.0.1 Marshmallow out-of-the-box. The user interface and the app icons are simple and not too gimmicky and the UI does provide a stock Android experience. The handset comes with default Centric related apps but the good thing that it does not contain any bloatware. There were no lags as far as OS was concerned and the RAM management seems to have been well optimized. With over 10 apps open on the phone, there was still 1.2GB free RAM available which is great. 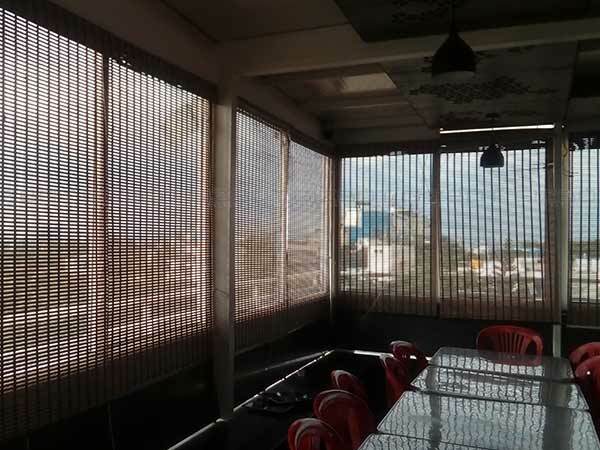 As for the connectivity part, the call quality was decent and there was no interruption in the the signal as well. We were using an Airtel SIM with the smartphone. However, we didn't receive any software update during the entire review period. As for the camera experience, lets first talk about what the smartphone brings to the table. Well, the G1 comes with an 8MP camera with a LED flash at the rear while there is a 5MP sensor up front. However, while the smartphone is equipped with the best cameras at the price range, the real-life performance of the rear and the front cameras left us wanting for a little more. However, if you are a casual photographer then this phone will be able to suffice your photography needs. One amusing thing is that you get two on-screen buttons to record videos and click pictures. The smartphone also comes with voice command which makes it easier to take selfies. 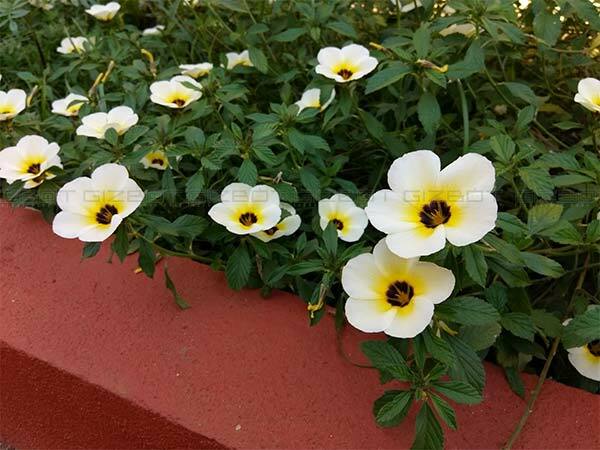 The camera UI is simple and easy to use and the camera app does offer several modes like HDR, Gesture capture, and Beauty mode. Talking about the quality, the images captured were all right in the price range. Low-light photography was a little noisy though. However, the pictures are suitable for uploading it on social networking sites. 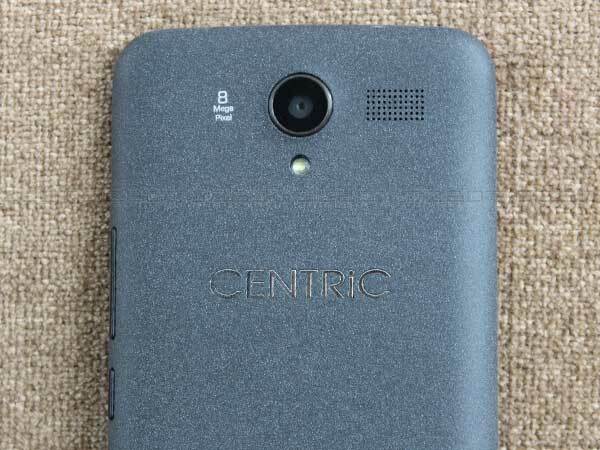 Overall, the camera performance of the Centric G1 was just about average. The device comes smaller battery when compared to smartphones in the same price range. As such, the smartphone is backed by a 2900mAh battery. Well, the company could have gone with a slightly bigger battery considering the display size of the smartphone and the features it is offering. But again, we have to deal with it. So using the phone on a daily basis, the battery lasted at least one day on a single charge with extensive usage. The stock Android battery saver usually gets activated when the battery level comes down to 15 percent. In any case, the standby is decent and should help you get through the day. As for refilling the juice, the smartphone took almost three hours to charge up to 100 percent. Well with the introduction of Centric brand, Priyanka Communications might be looking to take on the Chinese brands who have been recently dominating the smartphone market in India. 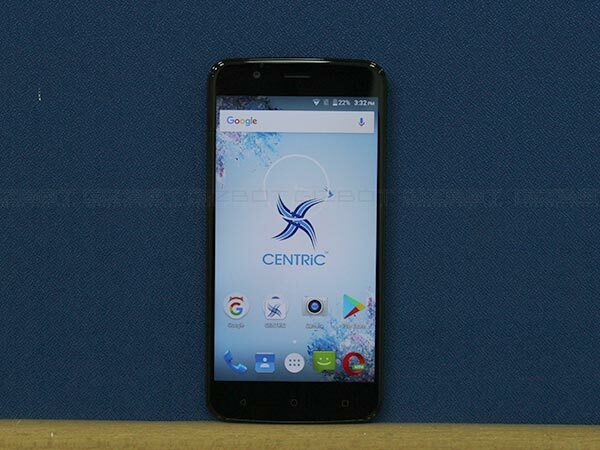 And with its first smartphone the Centric G1 which offers decent performance, study design and build quality, and almost a day's battery life, the Centric G1 could actually compete with some of the brands in the similar price range. On the other hand, if you are wondering if it is good buy or not then the answer to that is if you are a user who is looking for a smartphone that does not fall heavy on the pocket and offers a reasonable performance then this entry-level Android handset will be suitable for you.